Prior to installing a UPS it is important to understand which factors can have a negative impact on the unit and its components. Protecting your system from elements that adversely affect its capabilities should be a top priority, but other concerns, such as access and security can be equally important. Your UPS should be installed in a temperature controlled room that does not contain any windows or experiences high amounts of moisture. An ideal state would allow for a temperature control system that operates independently from the rest of your facility’s HVAC system. The unit has ventilation openings that should not be blocked, and allows for adequate air movement. Every UPS manufacturer has different fan placement on the unit depending the design consideration. Some UPS systems have robust, three phase blower fans that exhaust through the top of the system, while others are mounted on the front and are designed for clean, data center environments. Make sure to discuss location with your UPS provider to ensure that you are installing a system that can stand up to the everyday environment it will be installed in. Batteries are the heart of the UPS as they are what provides power when the utility or input is not available. Valve Regulated Lead Acid (VRLA) batteries work best at a constant temperature of 25°C (77°F). Operating outside of this temperature can cause the batteries to rapidly lose their ability to maintain proper capacity. In fact, for every 15°F above 77°F, the lifespan of a standard UPS battery is cut in half. Battery life is rated in cycles, not years, but most VRLA Batteries often have a 3 – 5 year life expectancy when kept at optimal temperatures. Operating outside of recommended conditions will drastically reduce their lifespan and force premature replacement, adding to your maintenance costs. Dirt and dust can clog fans and other components, leading to increased heat and reducing your system’s ability to operate efficiently. The best way to combat this is to install the system in a hermetically sealed room, and schedule regular cleanings of components that tend to gather dust. Periodically inspect the filter on the front of your system and clean or replace on regularly scheduled intervals. One of the leading causes of UPS failure is human error. In order to reduce this risk, it is always recommended to install the UPS in a part of your facility that does not receive unnecessary foot traffic. Only authorized personnel should be allowed to enter the room and operate the system in any way. 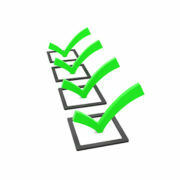 In addition, make sure to consult a qualified professional prior to operating your UPS. Following the above basic guidelines in addition to scheduling regular preventative maintenance will help you maximize the return on your investment and help you sleep soundly at night while your UPS ensures your loads are protected and continue to stay online. Please be sure to continue following our blog for more helpful tips from the team at Quality Power Solutions. Location independence offers employees more flexibility in terms of where they live and how they spend their time. But this freedom can come with challenges concerning the logistics of a growing career . Employees who work under a flexible-hours schedule must be more intentional about their time. Without the structure of a 9-to-5 job in an office, they need to create their own system of accountability. Cornerstone habits such as taking a walk every morning or evening, for example, allows you to create healthy boundaries around your work time.